Cleaning your roof is not something that most homeowners think about, however to keep your metal roof looking great and doing its job you need to periodically have it cleaned. So often I meet clients who need to replace their roof far earlier than they should have to. This is typically due to the lack of care given to the roof over its lifetime. Your roof can be about 30% of your total home costs, it is crucial to keep your roof in good shape to not only maintain the value in your home but also to keep your home running efficiently. It is important that you refer to the blog we wrote on roof safety before attempting to do any kind of work on your roof and you should never attempt roof maintenance when it has been raining as the metal surface becomes extremely slippery and your chances of falling during any inclement weather conditions is extremely high. With this in mind, keeping your roof free of debris is something that should be done on a regular basis. Hiring a professional company to give your roof a once over yearly is a good idea to keep it free of tree debris, moss, fungus and bird droppings. I suggest using a professional service because working on top of a metal roof can be extremely dangerous and the risks involved are simply not worth the end result. Most services will give the roof a wash with a power washer and some gentle detergent to clean the debris without stripping the coating on the metal shingles. It is important to ensure that there is no residual residue left on the surface as it can cause damage to the coating and decrease the longevity of your roofing system. Many homeowners tell me that they are noticing their energy cost rising. Heat rises and if the roof is poorly maintained.. it goes up and out. Regular maintenance keeps any budding problems from becoming huge problems and ensures that you are getting the most out of your energy cost. Deep cleaning of your roofing is not a yearly task and should only be done every 3-5 years depending on the conditions surrounding your home. Deep cleaning differs from the annual cleaning in that stronger detergents are used to give your roof that “brand new” look. These detergents cut through most dirt and grime that the yearly cleans can miss. Tree sap, oxidization, and the harder to remove substances that have collected on your roof over the years can cause your metal roofing to look less than perfect. Staining and algae/lime deposits on the roof can happen over time at which point you will need to have the roof re-coated. Costs for this type of service vary, however it is mostly for aesthetic purposes and is not necessary if the roof is still sound. Bacteria build up can speed up the rusting processes so it is important to make sure that you keep an eye on any potential signs of bacteria and mold build up on your roof. I recommend that before you attempt to clean your roof yourself, that you check with the manufacturer of your roofing material to see what they recommend. Different materials react to certain detergents and chemicals in different ways, and it is important to use the right product for your roof to maintain the appearance and lifespan of the materials. Most metal roofing can handle gentle cleansers and a good pressure washing without causing any damage to the surface of the roof or the structure. If you decide to do this yourself, it is important to make sure that you have followed the recommended directions for dilution on the cleaning product. Some metal cleaners are slightly corrosive, so using the wrong concentration could be damaging to the metal. Re-coating your metal roof can be a cost effective way to improve the appearance of the roof without replacing it. I sometimes recommend a re-coating to clients whose roof is still structurally sound, but is really starting to look worn. Depending on the climate and weather conditions, metal roofing can start to look shabby long before it needs replacing. 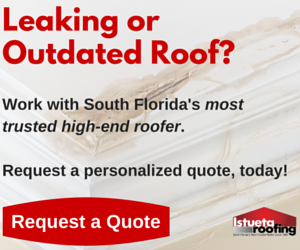 Re-coating or painting can restore the look of the roof and be a more cost friendly solution. As I said before, I do not recommend cleaning your roof yourself, there are many local professionals who would be willing and able to do this for you for a reasonable cost. So often I hear horror stories about people getting hurt trying to maintain their roofs and I always tell my customers that it is never worth saving a few dollars to go up and try to work on their roofs when a trained professional can safely provide them this service. The risk in these cases, in my opinion, far outweigh the benefit. A little roof maintenance is a very smart investment to make into your home and will prolong the life of your roof and also keep it looking newer longer.